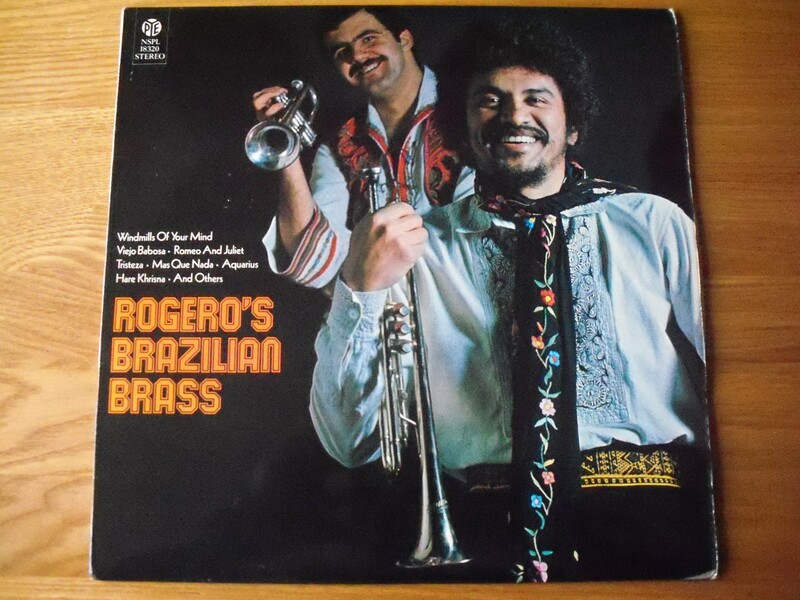 While it’s about as Brazilian as a pork pie, the self-titled album from “Rogero” and his brass ensemble is an enjoyable and cheesy romp taking some contemporary hits, a few Latin rhythms and three originals for good measure. Taking care of business – i.e. the arrangements – are Ken Woodman and Steve Gray – old hands by 1970. Cyril Stapleton is the gaffer. The Latin numbers are competently played with some nice brassy flourishes – O Pato (The Duck), Tristeza, Mas Que Nada and A Banda all present and swinging with energy. Elsewhere there’s two Hair tunes – a bright ‘n’ breezy Aquarius plus a drum-heavy Hare Krishna that plays like a funky cop show theme. Nice work fellas! Two big movie hits of the day – The Windmills Of Your Mind and Romeo and Juliet unfold in a relaxed easy style that’s makes for pleasant listening while Nilsson’s Without Her is a downbeat jazzy treat. The original tunes consist of two toe-tappers (Rosa and Viejo Barbosa) along with the sultry haven’t-I-heard-this-one-before concoction that is Mellow Brass. To The One I Love doesn’t sound exactly like you’d imagine. The soppy sleeve goes some way towards symbolising the romantic and slushy sounds therein but there’s some surprises along with the way with some fine downbeat arrangements and the occasional funky moment. Why Did I Choose You? reminds of an average Ray Conniff number with the chorus going through the motions. I Won’t Last A Day Without You is marginally better with a nice string arrangement. The title track is one of Alan’s own and is decent with a chilled-out moog vibe running the whole way through it. Similarly You Are The Sunshine Of My Life has some fat synth breaks and unfolds at a nicely relaxed pace. Over on the other side Love Song gets the action off with some soaring strings not unlike the title track. Gentle In The Night is another self-penned number and is very lush with some evocative key changes that would ideally suit a cop show from the era (well it is a re-worked track from The Hanged Man). The remaining quarter is mostly forgettable aside from the moody Make It With You which would have fitted right onto Collage’s Misty (LP 187 on the original Spiral). 02 Do You Know They Way To San José? 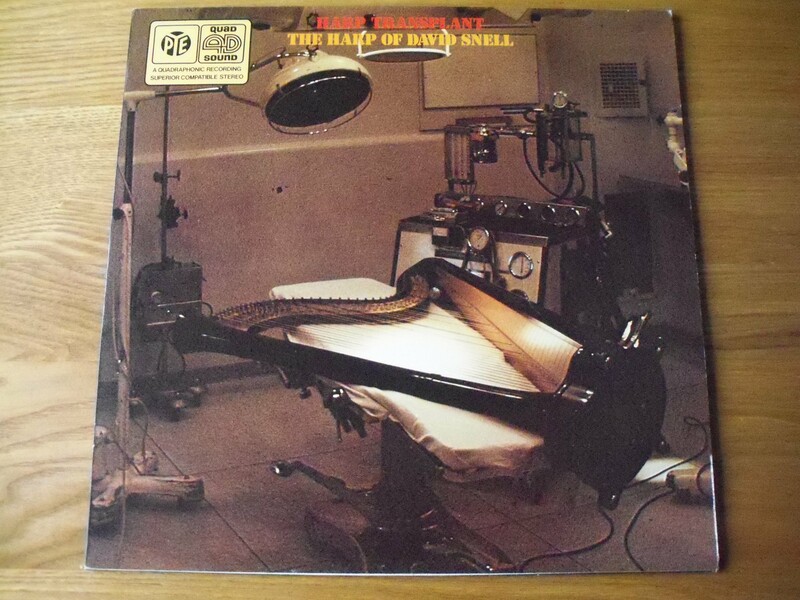 Vinyl Vulture called Harp Transplant ‘a great Sunday morning record’. It’s a pretty accurate description for what turns out to be a calming and relaxing LP with the occasional funky moment. It’s a neat game of two halves – pop versus classical. We start with three Bacharach tunes – (They Long To Be) Close To You being the pick of the trio. A chilled take on Joni Mitchell’s Both Sides Now fits well alongside a serene Witchita Lineman before there’s some grooviness in Tony Hatch’s Call Me. The classical material is of a high standard. Eine Kleine Nachtsmusik plucks the strings with vitality while the concise Invention In A Minor works well as a burst of concentrated urgency. The LP concludes with the fresh optimistic bop of Trumpet Voluntary which we used in our wedding ceremony back in 2002.